Short to medium run, Floorstanding Magazine Dispensers, 3D Displays, POS units, Point of Sale, Point of Purchase, Packaging display, Clearance Bins, Pallett wraps, Beer mats, Card badges, Sales promotion all digitally print and fabricated in house. Cardboard Engineering is a phrase that deals with the structure of virtually any 3 dimensional object which is manufactured from cardboard - from packing containers as well as display units to creating models and also to generating promotional merchandising solutions. 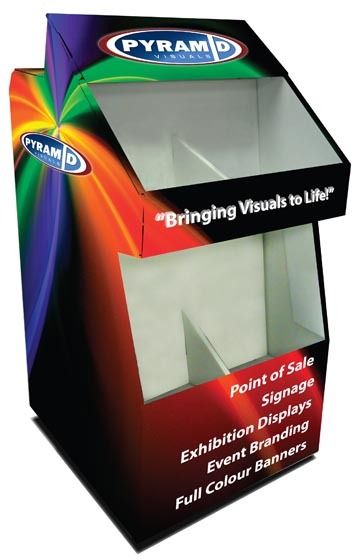 Pyramid Visuals take a design and style and produce customized cardboard packing containers as well as retail store exhibit presentation to produce products and solutions that might vary from a relatively common oblong package to a extremely revolutionary solution to behave as a display package. The definition of "cardboard engineering" also seems to cover shutting systems with labels like collision fastener underside, side panel locking mechanisms as well as tuck fastener covers. The cardboard engineering division of company is involved with generating point of sale merchandise and stands and make use of cardboard engineering approaches to the design of Point of sales systems from huge floor positioned exhibits to surface dispensers and retail stands. We retain the services of certified cardboard technicians who utilize their competencies in our cardboard holders and cardboard architectural division. Cardboard engineering has quickly become a recognized method for producing aesthetically attractive exhibits - often utilised in retail but additionally in the field of Business to Business promotional merchandising. Employing a mixture of capabilities learned from the numerous realms of paper engineering, marketing product packaging, cardstock crafts, architectural product packaging and the technological innovation involved in constructing pop-up books; the cardboard engineered items manufactured for the marketing promotions and advertisement industry are possibly the most fascinating. Product in this field possess the most incredible structures. You can find pop-up products that come in all shapes and forms. There are numerous interactive solutions which is designed to hold the attention of the Business to business customer. Where our unique fast turn around print & cut service comes into its own is producing cut to shape displays that really grab the customer’s attention! In a noisy retail environment crowded with messages, there is an increasing demand to add impact and draw the customers eye. Our ability to print onto virtually any substrate, which can then be cut and creased to produce shaped and 3-dimensional displays, guarantees to add that Wow! appeal. We can produce cut to shape graphics for display panels, self supporting 3-dimensional displays and POS displays. Cardboard engineered products also lend themselves perfectly to exhibition usage. Examples include branded business card drop boxes and product sampler dumpbins. 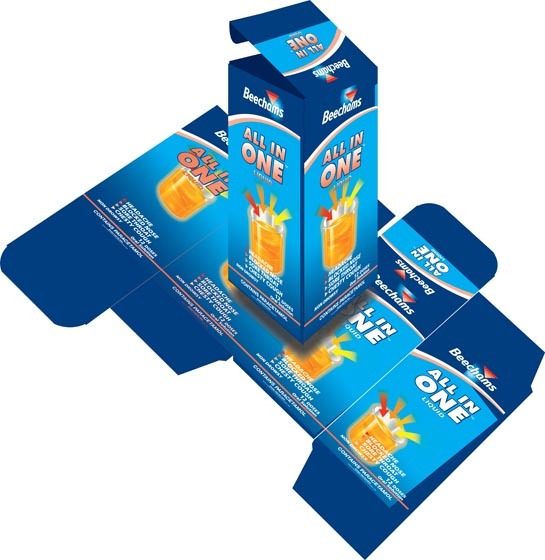 Prior to these recent innovations in digital printing and finishing, the use of items of this nature required a production run of 1000's to make it financially viable, with modern cardboard engineering and digital technology we can now make you a one-off at the same unit cost as a 1000 off. For a hands-on look at what we can do, ask us for one of our promotional packets. This packet is manufactured from E-flute card which was printed onto using our Inca UV flatbed printers, prior to cutting and creasing on our Zund cutting system. In a nutshell Cardboard engineering is the solution you are looking for when you need cardboard stands for retail and other marketing requirements.